What is the cheapest way to get from Český Krumlov to Hradec Králové? The cheapest way to get from Český Krumlov to Hradec Králové is to bus and train which costs 270 Kč - 390 Kč and takes 4h 34m. What is the fastest way to get from Český Krumlov to Hradec Králové? The quickest way to get from Český Krumlov to Hradec Králové is to drive which costs 700 Kč - 1 100 Kč and takes 3h 9m. Is there a direct bus between Český Krumlov and Hradec Králové? No, there is no direct bus from Český Krumlov to Hradec Králové. 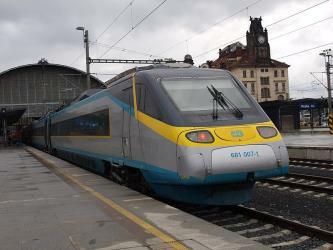 However, there are services departing from Český Krumlov, Český Krumlov and arriving at Hradec Králové - Simkova via Praha Florenc. The journey, including transfers, takes approximately 6h 18m. 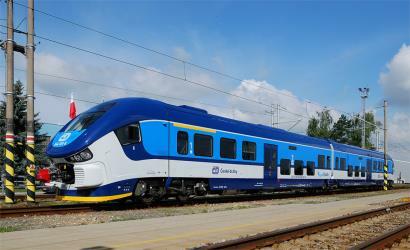 Is there a direct train between Český Krumlov and Hradec Králové? No, there is no direct train from Český Krumlov to Hradec Králové. 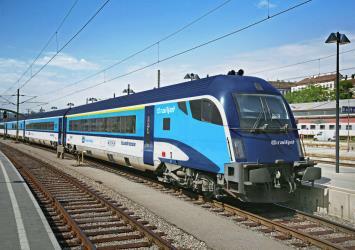 However, there are services departing from Cesky Krumlov and arriving at Hradec Kralove hl.n. via Praha hl.n. and Pardubice hl.n.. The journey, including transfers, takes approximately 4h 30m. How far is it from Český Krumlov to Hradec Králové? The distance between Český Krumlov and Hradec Králové is 190 km. The road distance is 279.6 km. How do I travel from Český Krumlov to Hradec Králové without a car? The best way to get from Český Krumlov to Hradec Králové without a car is to train which takes 4h 30m and costs 310 Kč - 490 Kč. How long does it take to get from Český Krumlov to Hradec Králové? It takes approximately 4h 30m to get from Český Krumlov to Hradec Králové, including transfers. Where do I catch the Český Krumlov to Hradec Králové bus from? 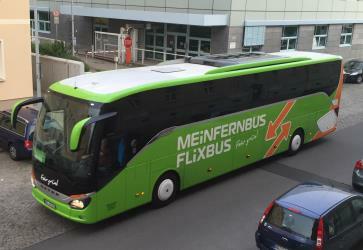 Český Krumlov to Hradec Králové bus services, operated by FlixBus, depart from Český Krumlov, Český Krumlov station. Where do I catch the Český Krumlov to Hradec Králové train from? Český Krumlov to Hradec Králové train services, operated by Czech Railways (ČD), depart from Cesky Krumlov station. Train or bus from Český Krumlov to Hradec Králové? The best way to get from Český Krumlov to Hradec Králové is to train which takes 4h 30m and costs 310 Kč - 490 Kč. 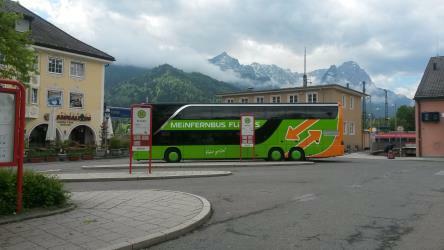 Alternatively, you can bus, which costs 330 Kč - 550 Kč and takes 6h 18m. What companies run services between Český Krumlov, Czech Republic and Hradec Králové, Czech Republic? You can take a train from Český Krumlov to Hradec Králové via Praha hl.n. and Pardubice hl.n. in around 4h 30m. 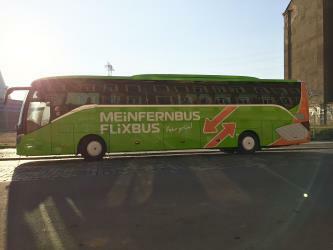 Alternatively, you can take a bus from Český Krumlov to Hradec Králové via Prague, Prague ÚAN Florenc and Praha Florenc in around 6h 18m. Train from Cesky Krumlov to Praha hl.n. Train from Praha hl.n. to Pardubice hl.n. 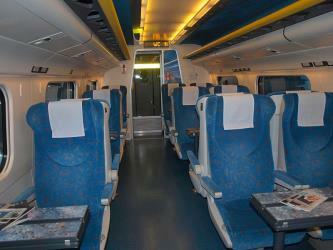 Train from Praha hl.n. to Hradec Kralove hl.n. Train from Ceske Budejovice to Praha hl.n. 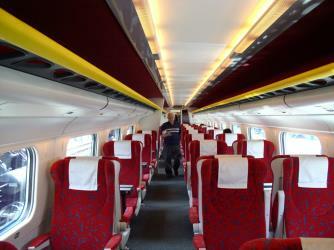 Train from Prague, Praha hl. n. to Pardubice hl.n. Bus from Český Krumlov Špičák to Prague, Praha hl. n.
Where does the Český Krumlov to Hradec Králové bus arrive? Český Krumlov to Hradec Králové bus services, operated by Arriva Vychodnicechy, arrive at Hradec Králové - Simkova station. Where does the Český Krumlov to Hradec Králové train arrive? Český Krumlov to Hradec Králové train services, operated by Czech Railways (ČD), arrive at Pardubice hl.n. station. Can I drive from Český Krumlov to Hradec Králové? Yes, the driving distance between Český Krumlov to Hradec Králové is 280 km. It takes approximately 3h 9m to drive from Český Krumlov to Hradec Králové. Where can I stay near Hradec Králové? There are 152+ hotels available in Hradec Králové. Prices start at 802 Kč per night. The White Tower (Bílá věž) is the tallest dominant of the city Hradec Králové in the Czech Republic. From the tower's galleries there is a unique view not only of Hradec Králové, but also of the distant peaks of the Giant Mountains and the Orlické Mountains. In recent years the tower came back to life with the exhibitions and became the center of tourism and cultural events. The White Tower houses the second largest and heaviest bell in the Czech Republic – the Augustine Bell. Kuks (German: Kukus) is a village in the Czech Republic, Hradec Králové Region, Trutnov District. Its main feature is a baroque spa building with famous sculptures by Matthias Braun. The East Bohemian Museum (Czech: Muzeum východních Čech) is a museum and historic landmark in Hradec Králové, Czech Republic. It was designed by Jan Kotěra, a prominent Czech architect of the early 20th century. Hrádek u Nechanic is a 19th-century Gothic style Romantic château near the town of Hrádek in the Hradec Králové Region of the Czech Republic. In 2001 Hrádek u Nechanic was declared part of the National Cultural Heritage. The chateau is administered by the National Heritage Trust and the Ministry of Culture. Rome2rio makes travelling from Český Krumlov to Hradec Králové easy. Rome2rio is a door-to-door travel information and booking engine, helping you get to and from any location in the world. Find all the transport options for your trip from Český Krumlov to Hradec Králové right here. Rome2rio displays up to date schedules, route maps, journey times and estimated fares from relevant transport operators, ensuring you can make an informed decision about which option will suit you best. Rome2rio also offers online bookings for selected operators, making reservations easy and straightforward.